There are so many cool home security cameras these days, and most of them connect to your network via Wi-Fi. There are so many cool home security cameras these days, and most of them connect to your network via Wi-Fi. Logitech even offers a Circle 2 camera that's 100% wire-free (it has a battery instead of a power cord). But believe it or not, sometimes going completely wireless really isn't the most convenient solution. 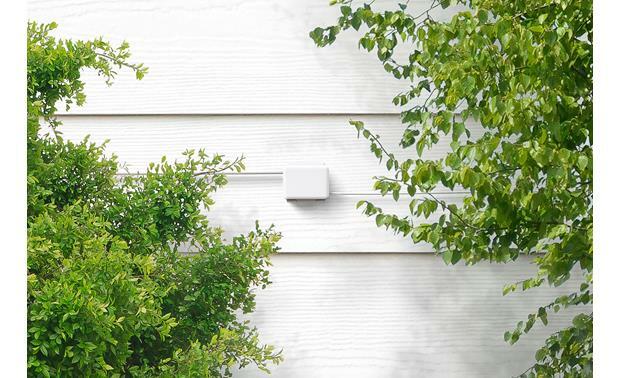 For example, if you're looking for an exterior security camera, but it's going to be mounted in a spot that's not easily accessible, you might want a wired power connection. Otherwise, you'll be climbing a ladder to change the battery every month or so. That's why we've paired a Circle 2 camera (equipped with a 10-foot power cord) with the 15-foot weatherproof extension to take you the rest of the way to a convenient outlet. The two cords meet inside a waterproof case to minimize weather worries. The bundle includes hardware for wall-mounting the case and securing the cable. The camera and cords are built to withstand a lot. They can handle direct exposure to moisture and extreme temperatures, but Logitech strongly recommends finding a mounting spot that's not in direct sunlight. This keeps the camera cooler and helps you avoid lens glare. You should also place it within a healthy range of your home Wi-Fi network, so you don't run into connectivity issues. 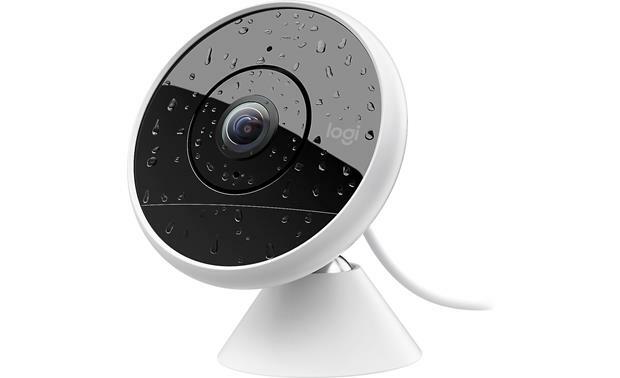 Overview: The Logitech Circle 2 is an indoor/outdoor wired security camera with an ultra wide-angle lens that captures more area than many other surveillance cameras. This small, lightweight camera can be mounted just about anywhere with the included swivel mounting base and wall bracket, or with optional mounting accessories. Circle 2 works on your home Wi-Fi network, and you can monitor your home from a web browser or mobile app. In addition, Circle 2 integrates with many of today's popular digital assistants from Apple, Amazon, and Google. 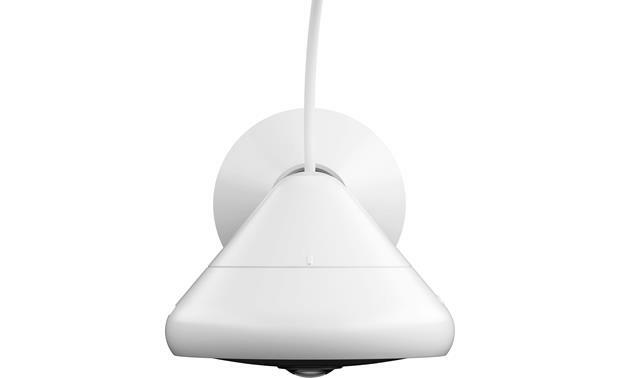 Camera: The Circle 2 wired security camera is equipped with a glass lens that provides an ultra-wide 180° field of view. The camera live-streams Full HD video up to 1080p. Built-in infrared LEDs give the camera night vision out to 15 feet. The camera includes a microphone and speaker, enabling two-way talk between your camera and your smartphone, tablet, or computer. Circle 2 is equipped with color-coded LEDs to indicate the current status of the camera: flashing blue (pairing), white (connected and ready), green (someone watching/viewing), yellow (privacy mode), and red (camera off, not recording/streaming). 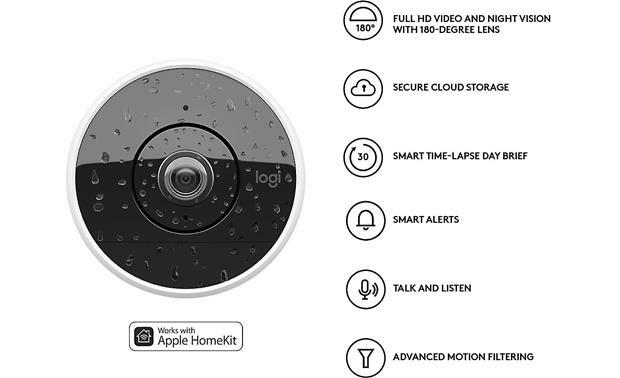 Apple HomeKit: You can integrate the Circle 2 wired within the Apple HomeKit system and access your live view cameras (up to 2) in the Apple Home app on your iPhone, iPad, or Apple Watch. Interacting with Siri lets you use only your voice to open the app to view the live video stream. However, the Circle 2 wire-free uses a Wi-Fi power-saving mode, which isn't currently supported by Apple HomeKit. (In other words, if you convert your wired camera to a wire-free camera, you will lose HomeKit functionality.) Logitech and Apple are working closely together to explore support for cameras on power-saving mode in the future. 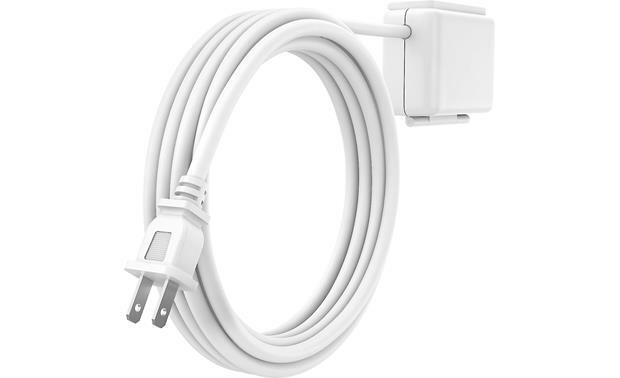 Weatherproof Extension: The Logitech Circle 2 Weatherproof Extension is a 15' power cable that allows you to mount the Circle 2 Wired Security Camera in a spot that lacks an available AC outlet. In addition to the cable, the Extension kit includes a waterproof case and mounting hardware. Installing the Circle 2 Weatherproof Extension requires removing the 2-prong AC adapter plug from the camera's USB power adapter and attaching the adapter base to the extension cable. The USB power adapter and extension connectors are inserted into the waterproof case. Ports are provided on both ends for the cables. The heavy duty extension cable has a water-resistant jacket, making it safe to use outdoors. Hardware is included for wall-mounting the case and securing the cable. Window Mount: The window mount lets you attach the camera to any window pane to see outdoors. You can keep an eye on your front porch, driveway, or back yard with a camera mounted to a window from the inside. 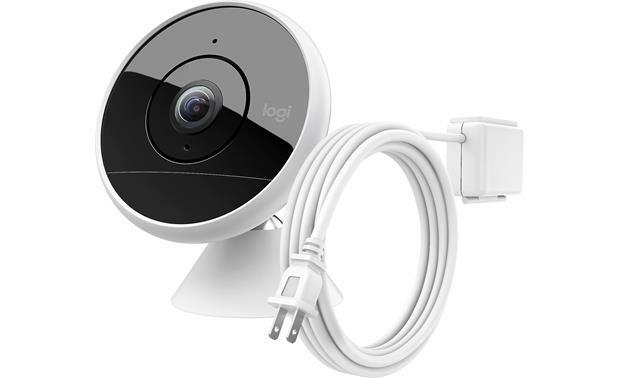 Searches related to the Logitech® Circle 2 Camera/Extension Bundle Wi-Fi® security camera and 15' weatherproof extension cord.